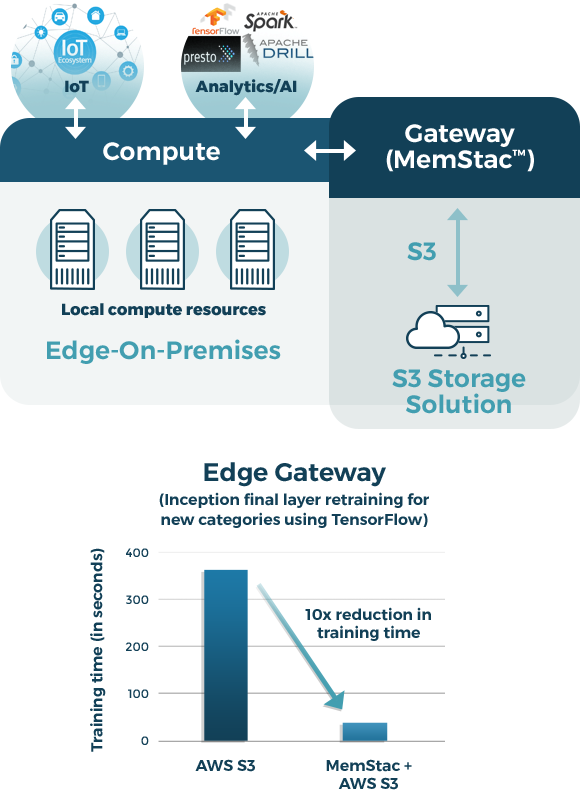 MemStac is a distributed tiered DRAM/NVMe-SSD-based caching solution, providing Memcached and Object Storage (S3) interfaces. It is available as a hardware appliance, software, or AWS instance. 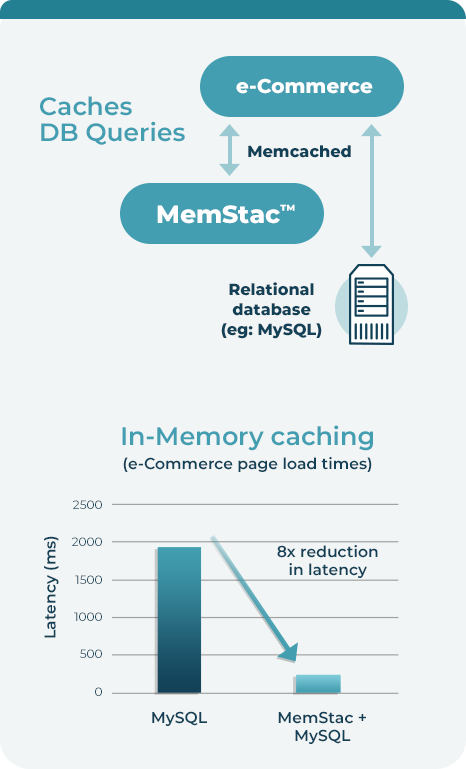 MemStac is used as a traditional key-value cache (Memcached) solution for relational databases, speeding web pages and access to other critical data. It is also used in open stack and cloud (Swift and S3) to bring edge data closer to analytics, learning algorithms, and other enterprise applications. 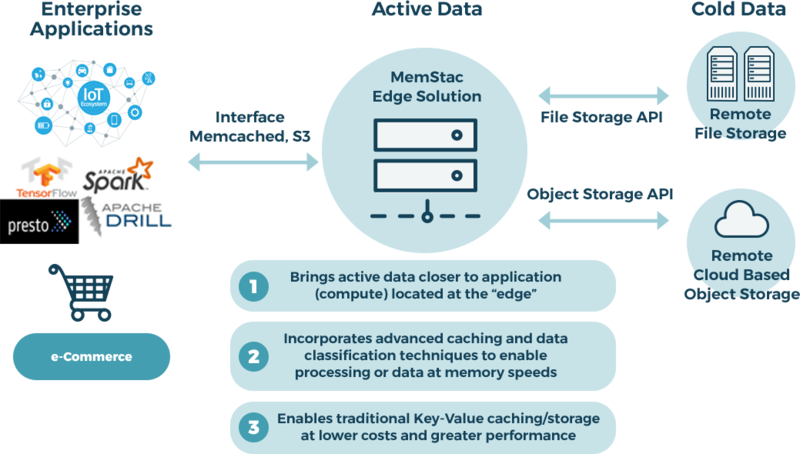 MemStac fulfills the promise of flash memory based cache solutions with low cost, expanded storage at DRAM-like latency. It dramatically improves Total Cost of Ownership (TCO) and applications performance. Cloud vendor agnostic. Unified interface to interact with heterogeneous cloud services. Provides elastic capacities by automatically tiering the data between edge and backend storage through advanced data classification technology. Provides high performance tier that enables processing of data at memory speeds.